DUBAI: Eid Al Adha is a few weeks away and hoteliers and travel agents are already receiving bookings from travellers planning to spend the holiday in the UAE. Eid is expected to start September 11 and run for up to five days in the UAE, though official dates would be announced at a later stage. Geet Bhalla, co-founder and chief executive of travel agency HolidayME, says his company is seeing increase in bookings for holiday packages from both travellers from outside the UAE and residents within the country. “We continue to see good demand. Our numbers are moving in a positive direction,” he told Gulf News by phone, adding that bookings are “significantly up” compared to Eid last year. Most of the demand during the Eid period in the UAE comes from other Gulf Cooperation Council (GCC) countries, mainly from Saudi Arabia, Qatar and Oman, with the average stay between five and seven days, travel agents and hoteliers said. The UAE is in proximity to the other GCC countries and has a range of retail and entertainment offerings, making it an attractive destination to celebrate Eid. One major attraction set to open just a few days before Eid is IMG Worlds of Adventure, an indoor theme park featuring more than 20 rides and attractions. It is scheduled to open August 31. Kulwant Singh, managing director of Lama Tours, said the company is “already receiving bookings”, but he expects a surge in bookings closer to Eid, since visitors from this region tend to book last-minute. 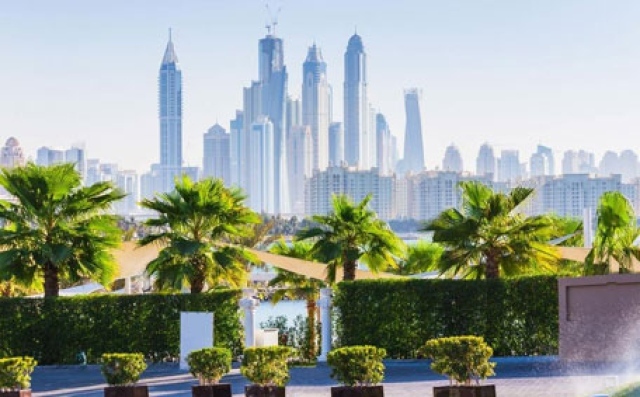 With Eid extending to 10 days in certain regional markets, Hilton “anticipates extended lengths of stays, as many travellers choose to maximise their time in the UAE,” said Rudi Jagersbacher, president for the Middle East and Africa at Hilton Worldwide. Guests plan to stay at a variety of accommodation, including five-star hotels, hotel apartments and budget hotels, during Eid, HolidayME’s Bhalla said. UAE-based hotel chain Rotana Hotels, meanwhile, expects close to full occupancy during the Eid holiday period. “The coming Eid Al Adha is expected to bring high occupancy to our Rotana hotels in the UAE as the peak season returns after the summer. The Emirates will again play host to thousands of visitors from the GCC and other parts of the globe and most of our hotels are already witnessing high occupancy and are likely to achieve between 85 to 95 per cent occupancy,” said Guy Hutchinson, chief operating officer at Rotana.